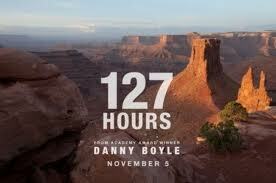 Recently the wife and I went to see “127 Hours,” Danny Boyle’s film about the real-life misadventure of mountaineer Aron Ralston. 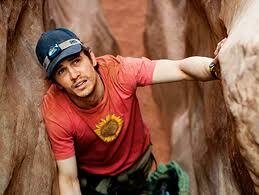 Ralston, as movieogers know, was solo hiking in a canyon in Utah when his arm got trapped beneath a boulder. In order to save his life, he had to leave his arm behind. 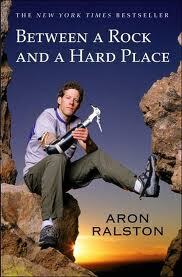 The separation of Ralston from his arm is a grisly, existential nightmare that I might not have chosen to see had the movie not gotten good reviews – and had I not written about outdoor adventure and death in my book, Whiteout: Lost in Aspen. My chapter, “The Chances You Take,” opens with my friend, Seth, returning home one lovely summer day to inform me that his hiking partner, the physicist Heinz Pagels, has fallen near the summit of 14,018-foot Pyramid Peak. The rescue team is assembling and he is to return in two hours; I drive him. Heinz, tragically, died in the accident. So do six-to-eight other people pursuing outdoor recreation every year around Aspen, mostly young men. These are not the sort of guys who wait all week to watch a weekend ball game or tennis match on TV–they are after non-vicarious experience. The county coroner told me that Aspen’s was “a weird population–the percentage of death from fatal injury to illness is skewed.” In other words, more die while pursuing risky outdoor sports than would in a more ordinary kind of town. One of them was nearly Aron Ralston, who worked not in a city, as the movie suggests, but at an Aspen sporting goods shop called The Ute Mountaineer. I read his memoir, Between a Rock and a Hard Place, when it came out in 2004–another reason I thought I should see the movie. I wish I hadn’t. Boyle’s “Trainspotting” had horrific scenes of heroin addicts going cold turkey, and I’m one of the few people I know who didn’t make it through “Slumdog Millionaire”–the scene of the orphan being blinded by his handler was the last one I could watch. I had to look away once James Franco began to self-mutilate in earnest, but it was kind of interesting to see how many of my fellow theater-goers did the same, while others stayed glued to the screen (including the two elementary school-aged boys near the front with their dad). I wasn’t the worst, though. Right after Franco had said goodbye to ulna and radius, just when I thought it was safe to turn back toward the screen, we heard strange gurgling sounds and the young man seated directly in front of us stood up and said, “Help! Help me!” We looked: the woman next to him was arched backward over the armrest, having convulsions. I stood up and called out, “Is there a doctor here?” Nobody replied. The movie played on. I called 911. A few minutes later, the projectionist finally stopped the movie. So what do we call a film about self-injury that itself causes injury?